Why Are Some Feminists So Preoccupied with Israel? Originally published under the title "Feminist Totally Occupied by Palestine." This month, a British feminist historian, Dr. Catherine Hall, refused a half-million dollars because the money is connected to an Israel-based foundation. The Dan David Foundation had absolutely no trouble finding two other European feminist historians (Drs. Arlette Farge and Dr. Inga Clendinnen) and awarding them the distinguished prize. The matter is a curious one. First, because Hall herself not only declined the prize; her supporters, the British Committee for the Universities of Palestine, released the news of her rejection, which it described as "a significant endorsement of the campaign to end ties with Israeli institutions." Hall and her supporters/handlers clearly want credit for her "politically correct" sacrifice. Perhaps a pro-Islamic or a British anti-Zionist foundation will soon find a way to reward her. Perhaps others will then follow suit. The matter is also curious because the Committee posted a press release on May 10th—and Ha'aretz did not report this until May 22nd. Ha'aretz states that Hall declined this prize "after many discussions with those who are deeply involved with the politics of Israel-Palestine." The Dan David Prize was founded in 2000 with an endowment of $100 million; awards were given for the first time in 2002. It seems to be an end-of-career or a later-in-one's-career kind of award. Scientists, novelists, musicians, thinkers, and academics, mainly historians, have been recipients of this largesse. Many undeniably great historians have received this prize, such as Sir Martin Gilbert and Robert Conquest, who shared the prize in 2012. Hall's work is obsessed with the crimes of colonialism and Caucasian racism. However, what makes Hall's rejection really curious is the extent to which the Dan David Prize has also been awarded to many "politically correct" thinkers. In 2008, Amos Oz and Al Gore (!) won; in 2009 Tony Blair won. The judges have been very creative, awarding the city of Jerusalem, the city of Istanbul, and the Warburg Library in London prizes. The filmmaker Frederick Wiseman, theatrical talents such as Tom Stoppard and Peter Brook, novelists Margaret Atwood and Amitav Ghosh, Muslim moderate Goenawan Mohammad, and Leon Wieseltier have also received this award. If anything, the judges "lean a bit left." It was a very special occasion. Edward Said was there all day, sitting on the front row of the hall with his wife Mariam, asking questions, engaging in debate, a constant and generous presence. At the end of the day he spoke, to a completely packed auditorium, full of colleagues, students, and friends. We hung on his words. It was a truly memorable occasion. I would suggest that Hall read the work by Ibn Warraq Defending the West: A Critique of Edward Said's Orientalism. Nevertheless, Hall's work is genuinely feminist work. However, it is a feminism that is obsessed with the crimes of colonialism and with Caucasian racism. 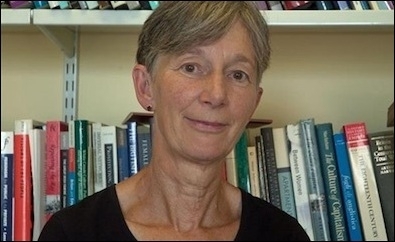 According to her biography listed at the University College London, Hall's research "focuses on re-thinking the relations between Britain and its empire in the nineteenth and twentieth centuries....how English identities, both masculine and feminine, were constituted in relation to the multiple 'others' of the empire. (Her book), Civilizing Subjects, looks at the process of mutual constitution, both of colonizer and colonized." As a feminist, she is and has, admirably, been concerned with women of color and with slavery. Less admirably, she seems unaware that many Jews, including many Israelis, are also women of color. As a "politically correct" scholar who has studied Britain's colonized "Others," Hall chooses not to understand that after the Ottoman Empire, Britain also colonized the indigenous Jewish people in Palestine. Britain refused Jewish survivors entry to their colony upon their pitiful return from the death camps of Europe and from the Far East. My pen pal, Larry Shapiro, has written a letter to Hall from which I would like to quote. Your interest in British colonial history will include the British Mandate to rule Palestine to provide governance to an area once controlled by the Ottoman Empire. The relationship between Great Britain and Jewish Palestinians, as well as the reluctance by Great Britain to allow Jews fleeing the Nazi horrors to enter Palestine is, to quote President Franklin D. Roosevelt, acts that 'will live in infamy'. You will also discover that in 1947, Great Britain, upon preparing to leave Palestine in preparation for the establishment of the State of Israel left strategic positions in the hands of the Arabs that the UK knew had refused to accept the UN offer for a country of their own, and were bent upon aborting the new Jewish state. If there is a country that ought to suffer boycotts, divestments and sanctions it is Great Britain. 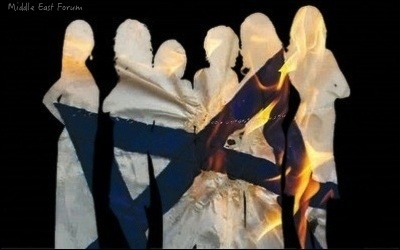 Your refusal to acknowledge the existence of Israel, indeed your decision to support the destruction of Israel, aside from being a rancid, racist revolt against decency, is in character with the acts perpetrated on Jews and the Jewish state by the British people that came before you. And, as I have written hundreds of time before: The visionary and radical feminism that I once knew and still represent, seems to have become a wholly-owned subsidiary of "Palestine."